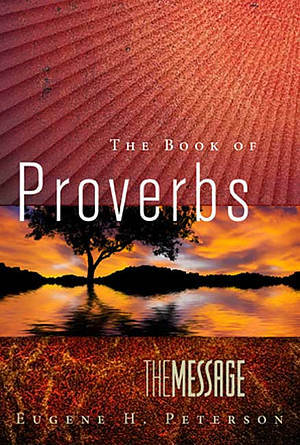 With a new, modern updated cover, this repack of The Book of Proverbs contains the same text from The Message Bible. This pocketsize portion, with the book of Proverbs in its entirety, gives readers a practical, everyday manual for living. The truths in the Proverbs teach readers how to honour God with their words, their work, their money, and how to handle temptation and gain wisdom. A great gift for any occasion. The Message The Book of Proverbs (repack) by Eugene H Peterson was published by NavPress in January 2012 and is our 6558th best seller. The ISBN for The Message The Book of Proverbs (repack) is 9781617472725. My morning ritual to read a chapter a day and I will read it every month !! Got a question? No problem! Just click here to ask us about The Message The Book of Proverbs (repack).